Saying that the “holiday season is upon us” might be music to consumer’s ears (think sales, discounts and BOGO galore), but to small businesses and large businesses alike, it can be a bit ominous. Now more than ever, consumers are driven to merchants who they perceive as sharing the same beliefs and values as they do, which can translate into something of a PR nightmare for businesses. Chief among the questions is usually, “Can I say Merry Christmas?” or “Maybe I should just say Happy Holidays”. While it might be tempting to take the path of least resistance and throw a few snowflakes on your flyers and website in surrender, don’t-put down that “holiday tree” and keep reading! Along with the main Christian, Islamic and Jewish holidays, there is a large population of (but not limited to) Hindus, Buddhists, Agnostics and Atheists who do not necessarily celebrate a major holiday in December. I know the question you’ve got; how do I keep my advertising diverse enough to cover every single holiday? You can’t. But you can appeal to each group through inclusive advertising that is both sincere and product relevant. Finding something that many people have in common, especially consumers, is a lifelong pursuit for today’s entrepreneur. Think about what the holiday season is about-no matter which religious holiday you celebrate if you even celebrate one, each holiday revolves around generosity, hope, mercy, and family. Considerations based on both your target and desired audiences should be made as with any advertising situation. Also, think about the venues you’ll be showing at and compensate accordingly; for example, if you are attending a craft show in a church, you could easily tailor your holiday décor and advertising towards Christmas. Do research on your venue, the history of its attendees and the area in which it is located first to really maximize your holiday audience reach. As a Handcrafter and entrepreneur, you are already in possession of a creative and resourceful nature; creating an inclusive holiday vibe for your business is a great way to exercise those skills! Tapping into themes of generosity and hope with a creative, humorous twist will help make your business relatable to your customers, no matter what holiday they celebrate. Because, after all, your business is not just open for the holidays; you are (likely) a year-round business that can greatly benefit from having a loyal, diverse customer base. For example, consider donating some of the proceeds from your December sales to a local or national charity. Especially during the holiday season, many consumers are conscious of not just the need to give their loved ones gifts, but the needs of those who are less fortunate. Using generosity as a cohesive theme for your holiday sales and advertising instead of necessarily focusing on specific holidays will not only help you relate to a wider customer base, but also do some good for your community. 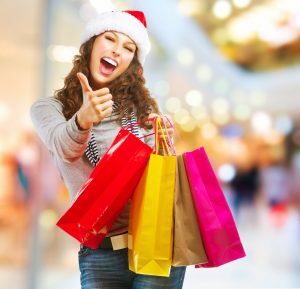 When it comes to the holiday season, no matter what holiday a consumer celebrates, they are looking for quality products and incredible gifts and will come to you to find them. It can be tempting to be drawn into the debate about political correctness when it comes to the holidays, but you can take the guesswork out of holiday advertising by simply acknowledging the common message of hope and generosity associated with every celebration; these are causes we can all agree on! Do you know what your consumers really need? Properly labeled soaps and cosmetics, of course! Make sure to take a peek at our How-To Library article, How to Correctly Label Cosmetics (https://www.soapguild.org/how-to/legal-compliance/cosmetic-labeling.php) for more info!